Throughout this blog series, we’ll touch on three major challenges that today’s tech leaders are facing, along with some suggestions to alleviate the burden. Let’s start with our first challenge: vendor management. As cloud-based “aaS” solutions explode into the marketplace with a range of affordable, accessible IT solutions, businesses are turning to outside vendors more and more. But for each business, as the number of vendors grows, so does the time and attention needed to manage and monitor them. And this responsibility often falls on the shoulders of already-busy CIOs or CTOs. Companies large and small are feeling the strain. A single area of IT—take cyber security, for example—alone may require a handful of outside vendors. That’s on top of several other areas where vendor services might be needed, such as web hosting, compliance, disaster recovery and off-site backup, telecoms, hardware maintenance, network … and so the list goes on and on. To truly understand the impact of vendor management on today’s IT departments—and how this has changed in recent years—here’s a look at some recent statistics. Which Tasks Are Bogging Down Tech Leaders? While the overarching task of “vendor management” has several moving parts and pieces, we’ve broken it down into three primary areas that pose the most strain on your IT team’s time and resources. What is the vendor’s downtime history or record? What level of support can the vendor provide? Can issues be resolved 24x7x365 if needed? Is the vendor reinvesting in emerging technologies to extend to clients and deliver ever increasing value? Is the vendor specialized in your industry-specific applications—for example, compliance for a particular industry vertical? How secure is that vendor’s solution? Is their infrastructure secure and sensitive data well-protected? It’s important to give this selection process careful consideration upfront; otherwise you may spin your wheels with an insufficient vendor before having to repeat this same task down the road, creating an even greater time burden. 2. Vendor communications/relationship building. After the initial legwork in selecting the right vendor, the ongoing communication and collaboration with those vendors is just as critical—and perhaps even more time-consuming than the vetting process. Also important is continuous collaboration with vendors to take advantage of new offerings, products and desired features that might benefit your organization. 3. Using vendors as a strategic partner. Ideally, external vendors can and should provide technical insights that ensure your business is following a strategic path for the future. The optimal vendors can help connect the dots between technology trends and business strategy; ideally, they will rise above the transactional elements to address those business objectives that have been simmering on that back burner for too long. They may even be able to identify industry trends that could provide additional competitive advantages. There’s no question that outside vendors can provide value to your organization, and each of the tasks mentioned here simply come with the territory of using them. Yet too often, the importance of each task is undermined by the lack of time and focus that it requires from tech leaders. To alleviate the task for IT leaders and utilize vendors more strategically, one option to partner with a managed service provider (MSP). Certain MSPs have experience stepping in as an all-important liaison to act as a single point of contact between your business and multiple IT vendors. The right MSP may even possess many of the skillsets needed to replace of the need for some outside vendors altogether while managing the ones that are still needed. Additionally, a good MSP is often more familiar with different vendors’ operational processes, and has the technical know-how required for communicating with each vendor. This deeper level of expertise put them in a better position to evaluate whether certain vendors are indeed a strategic choice for your business. Finally, MSPs often have a finger on the pulse of the IT industry—and can therefore strategically advise your business on the latest and greatest industry-specific products or solutions that will fulfill your organizational goals. Keep in mind, though, not all MSPs are the same—so if you’re considering going this route, be sure to ask upfront about the breadth of services and technical capabilities they provide. Of course, vendor management is just one of the top pain points for today’s tech leader. What about cyber security? How are CIOs and CTOs managing all that’s required of them as security requirements grow? Stay tuned! We’ll cover cyber security in Part 2, Too Much To Manage: Top Challenges Facing Tech Leaders Today (And What To Do About Them). 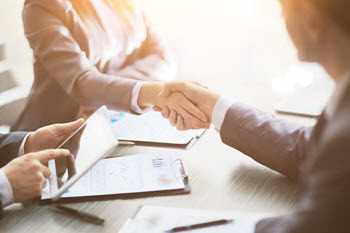 Partnering with PSGi/Thrive alleviates the growing challenges that tech leaders face today, including vendor management, cyber security and maintaining business continuity. PSGi picks up where other MSPs leave off, acting as a strategic industry partner who helps you understand how your system architecture can support your evolving business needs and goals. PSGi delivers the full package of services to bridge the gap between business software and your OS. Thrive is a leading provider of next-generation managed services. Their technology solutions platform that utilizes Cloud, Cyber Security, Networking, Disaster Recovery and other pioneering managed services to help compliance-driven businesses solve complex IT issues. Thrive was acquired by M/C Partners in 2016 as a Northeast United States growth platform to service the Financial Services, Healthcare, Biotech, Life Sciences, Banking and other mid-market verticals.